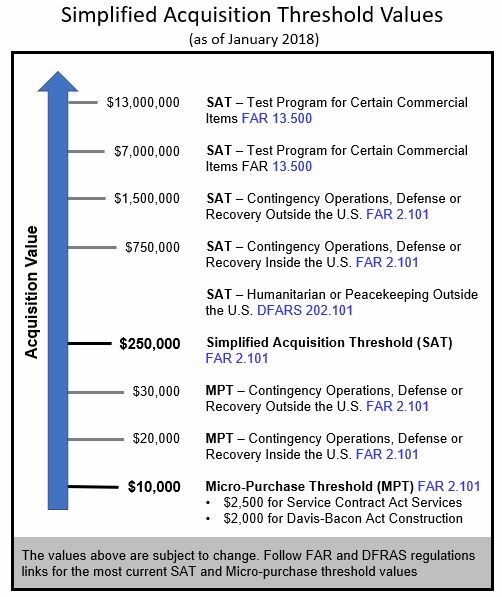 Simplified Acquisition Threshold (SAT) (FAR 2.101) is $250,000. The SAT can vary depending on the particular acquisition situation. 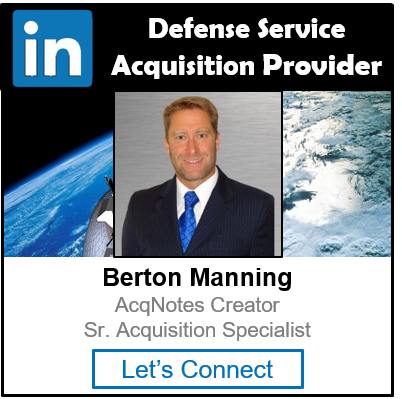 For acquisitions of supplies or services for supporting a contingency operation or facilitating defense against or recovery from nuclear, biological, chemical, or radiological attack, the SAT is (i) $750,000 for contracts awarded and performed, or purchases made, inside the United States; and (ii) $1.5 million for contracts awarded and performed, or purchases made, outside the United States. The test program at FAR 13.5 raises the threshold for use of SAP for commercial items to $7 million.